Eggs are a must in every kitchen as they are needed for baking and cooking all the time. However, the uses of eggs are not restricted to just cooking and baking. 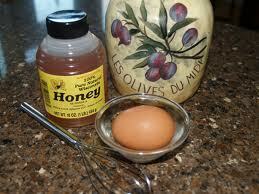 Eggs have been used as a natural remedy for hair treatment since the 1940. While egg white is an important part of any egg’s composition, for hair treatment egg yolk is considered far more effective. A natural and cheaper commodity as compared to a commercial hair serum or hair fortifier, egg yolk is particularly helpful with hair conditioning. Hair treatments that involve the usage of egg yolks have been around for decades and are designed to help in hair strengthening. Apart from increasing the strength of the hair, such treatments also help with hair silkiness and softness. The egg yolk treatments are also major players when it comes to hair conditioning and moisturizing as well. Here are some of the best natural remedies for hair that use egg yolk. The main benefit of the honey, olive oil and egg yolk hair mask is that the mask helps in revitalizing dry and dull hair. The mask doesn’t only make your hair softer and manageable but also adds the needed shine so as to make them look lively again. The first ingredient that you would need would be egg yolk itself. The amount of egg yolk required depends on the length of your hair. The lengthier your hair, the more egg yolk you would need for the mask. The second ingredient that you would need would be olive oil. Three table spoon of olive oil should be enough to make the mask. The third ingredient you would need would be honey. Again, three table spoons of honey should be enough to make the mask attain its effectiveness. Making the mask is extremely easy. Simply make a mixture out of egg yolk, olive oil and honey and then massage the mixture formed gently over your scalp and hair. Once you have massaged the mixture over your hair, remember to wrap around a towel over your hair. Take off the towel after 20-30 minutes before rinsing your hair with warm water for best results. Egg yolk deep conditioner’s main benefit is that it helps with deep conditioning and offers a cheaper alternative to the commercial conditioners. Moreover, since this is a natural remedy, it doesn’t come with any side-effects. 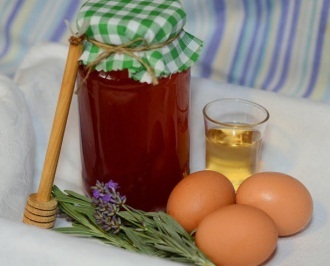 The homemade egg yolk laden hair treatment helps with adding shine to the hair too which is an added benefit. You will need one egg yolk and a table spoon of apple cider vinegar. Around half a table spoon of honey and a couple of drops of essential oil would also be needed. Lastly, you would also need to have around a table spoon of hot water around if you want to make this mixture at home. It is important to note that the quantity of the ingredients would increase if you have longer hair than the normal medium length hair. Take the egg yolk in a small cup and simply add the apple cider vinegar, honey and two drops of essential oil into the egg yolk. Then, mix the ingredients while adding a table spoon of hot water into the mix so as to get a thin consistency to the mixture. Wet your hair with warm water before massaging the mixture over your hair. Make sure that the conditioner is distributed nicely over your hair and then let it get absorbed for around 20 minutes before rinsing with washing it off with warm water. Egg Yolk and lime juice is the perfect homemade remedy to tackle the problem of hair loss. 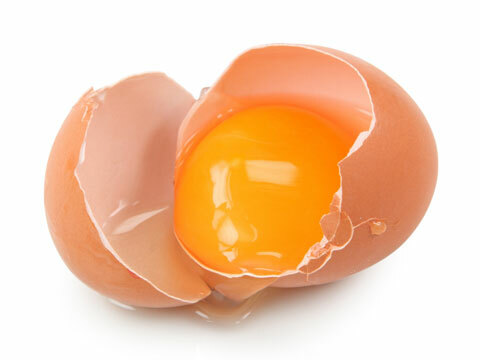 The natural egg yolk remedy actually slows down the process of thinning of hair to bring the hair loss to a bare minimum. Apart from tackling hair loss, the treatment’s other benefit is that it also aids hair growth. You would need the yolk separated from the white of two eggs. Around 3 table spoons of natural lime juice would do just fine for this egg yolk treatment. 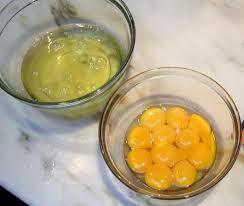 Add the lime juice to the egg yolk and then beat it for a minute to help form a mixture. Then gently massage the mixture over your hair roots and scalp and let it get absorbed for around 15 minutes. Then, wash your hair with cool water before using a cleanser to remove any sugar that might have been present in the lime juice.